You know we’re big on packing lunches around here, but even if you don’t have elementary-aged, lunch box toting kids, there are still plenty of reasons to pack your mid-day meals. Annnd sometimes we all “know” these things, but it takes a little reminder or convincing. But, before we dive in, I want to mention that if you could really use some help with healthy and easy ways to pack your lunch, be sure to check out our packed lunch meal plans that are currently available for 2 weeks only! Know what’s in your food. Starting with the obvious – while not having to cook your food sounds tempting, knowing exactly what’s in your food is that much more appealing! Forgo refined flours, sugars, oils, and more by simply preparing your own foods and bringing them with you to the workplace or on the go. More time to enjoy your lunch. No more deciding where to go, finding the time to go, and utilizing your precious lunch time to travel and figure out your food situation. Let’s face it – time is precious. If you can get some of it back by packing, my vote is to go for it! Better options with more thought. If you take the time to decide ahead of time what you’ll have for lunch, instead of opting for whatever is available at the moment, chances are you’ll end up with a much better outcome. By prepping ahead of time, you can determine exactly what it is that you’d enjoy instead of seeing what the cafeteria or workplace (or worse, vending machine) has to offer. I’m sure I don’t need to break this down for you, but let me give you an example. Think of the last time you went out to lunch. How much did you spend? $12? $15? A Chicken Salad at Chipotle with chicken, brown rice, pinto beans, guacamole + a water bottle is $12.13 (tax included). Oh yeah, and you have to use gas to drive there unless you walk (work it!) or had a friend pick it up. Yep, and there’s that time factor again, too. Packing a lunch at home of brown rice, black beans, a smashed avocado + cheese would cost less than $6. And you can use a reusable water bottle and help cut down on waste and get water from the filter at your workplace. Use leftovers from home (that might otherwise go to waste). Do you ever throw out leftovers? Feel like your fridge is so stuffed that you can’t see past the outer-most row of foods? Why in the world wouldn’t you repurpose those foods and make another great meal out of them?! It’s pretty much already done for you; all you have to do is throw it in a container and go with it. Need some inspiration for repurposing leftovers? You’re welcome. Part of eating a real food diet is stopping when you feel full (or are almost full). Because even if we’re eating real food, 3 helpings in one sitting may not be the best option. By packing your lunch ahead of time, you can pack adequate – but not out-of-control – portions to ensure you don’t overeat (or overspend). And throw in a healthy snack too while you’re at it – apples and peanut butter is a great option – to avoid those afternoon trips to the vending machine. Whether you want to get some of those much-needed servings of fruit and veggies mid-day or simply enjoy different types of cuisines to switch things up, the options are endless when you’re doing the shopping and packing. Guys. Do I really need to explain this one? We’ve all been there. Single or married, with or without kids, male or female – we are all busting our butts to get everything done every day. I know, because I do the same thing, and I see my friends, family, and even strangers doing it too. Yeah, it’s easy to just hit the drive-through or curb your hunger with a nice big dose of caffeine. But we work hard, and we deserve good food to help take care of ourselves (amongst other things, but that’s another story). Take the time to plan out your meals. 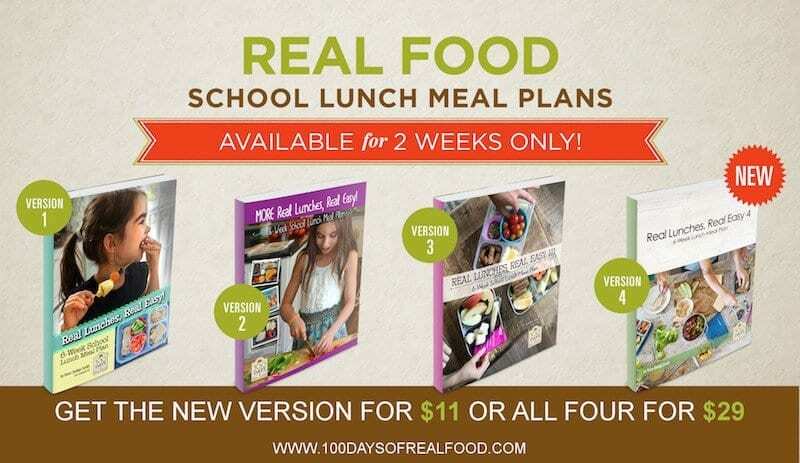 If you need ideas, Real Lunches, Real Easy 4 can take the guesswork out of it. It’s got 6 weeks of lunch recipes, shopping lists, and even visuals to make it easy peasy. But it’s only available through March 19th, so don’t delay! Whatever works for you from a planning standpoint, please take the time to make a healthy lunch. It’ll keep you fueled, save you money, and leave you feeling good great! Do you pack your lunch? If not, what is holding you back? If I plan and pack a lunch, even when I’m working from home, I almost always eat it, and keep my energy through the afternoon. Good for you. So much better than just grabbing whatever, right?! I always have and always will pack my lunch. At my old job, all my coworkers went out to lunch every day. They went to burger spots, Bojangles, taco stands… all unhealthy places! Sometimes I would feel alienated when I was the only one not going with them to eat lunch. But it was so worth it. I saved tons of money and ate way healthier. Some days they provided free lunch, like pizza or Subway sandwiches. I still brought my own food! Good for you for sticking to it! And I agree – I’m sure that you are that much better off in the long run AND you have more $$ to show for it:). This is very easy to read and a really interesting article; thanks for posting! 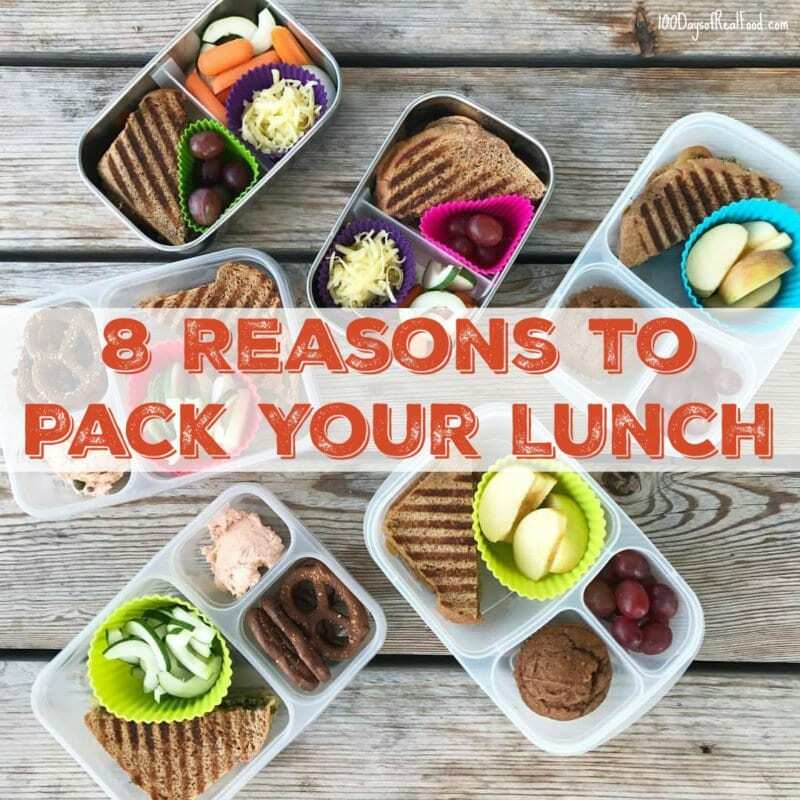 Indeed, packing your lunch can save us a lot of money and at the some time we have the freedom and opportunity make the right health choices instead of going for the processed food and last minute choice. Sauran manyan bakin da aka ba damar su ce wani abu sun hada da, Hajiya Jidda Haulat Nguru, Abba Muhammad RKB, da kuma uwar kungiyar Hajiya Habiba Hashim, wacce ta yi kira ga ‘ya’yan kungiyar da su zama masu amsa kiran kungiya a dukkan lokacin da ta yi kira, musamman zuwa taron da kungiyar ke yi a kowanne wata. I agree, the same goes for kids. It is much cheaper to pack my kids’ lunch then to buy school lunch.